The latest data from Juniper Research forecasts that in 2017, there will be 160 billion apps downloaded globally on smartphones and tablets. 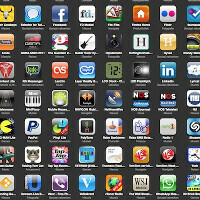 That is double the number of apps that the research firm sees loaded onto devices this year. What is behind the expected surge in app downloads? One of the factors involved is the large number of featurephone users in developing countries who are upgrading to a smartphone. This year, smartphone shipments globally will outnumber featurephones in transit for the first time ever. Another reason for the large surge in app downloads is the increase in the number of freemium apps that users can download for free and upgrade later by paying for particular services. While 6.1% of apps downloaded this year are paid for at the time they are downloaded onto a phone or tablet, that figure will be down to 5% in 2017. Developers still need to figure out how to make money from their hard work and the carriers will try to figure out a way to get involved with a piece of the revenue. One way might be through carrier billing for app purchases. While developers would rather continue to cut out the mobile operators, carrier billing is necessary to make sure that those downloading apps will be able to pay for upgrades. And which category of apps will people download the most in four years? According to the report, 40% of the 160 billion apps installed in 2017 will fall into the 'games' category.